Don't have time to keep your site updated with the latest developments? We'll take care of that for you. 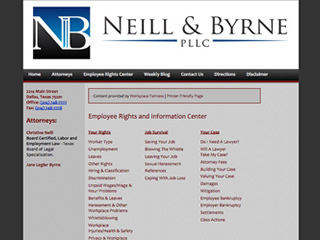 For $2,000 a year, your firm's existing web site will receive the Employee Rights and Information Center and our weekly content widget, with the latest topical workplace content. It's enough to visit most law firm web sites once a year, but we'll give you something that clients will return to again and again. 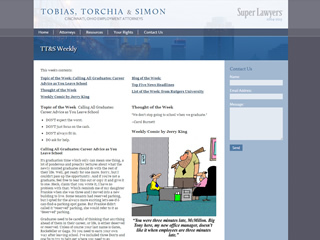 Your site will now feature fresh daily content--a topic of the week, blogs, news articles, and more of the latest information. This daily content will complement hundreds of pages of legal information provided by the award-winning Workplace Fairness website. To get started, sign up for your free listing here!